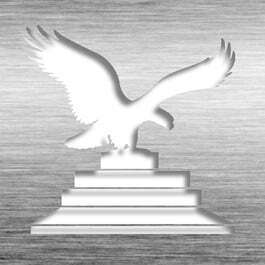 This award is perfect to present to a US Patent Inventor, featuring the symbolic eagle, a sign of freedom, victory and vision. With a clear optical crystal top and our corporate black crystal base it is sure to impress in both brillance and presence. This main plate prints in full color allowing you to add your company logo or customized hue for a unique look. Just let us know in the special requests section of your order form below. Available in Silver HD or Gold HD Plates. 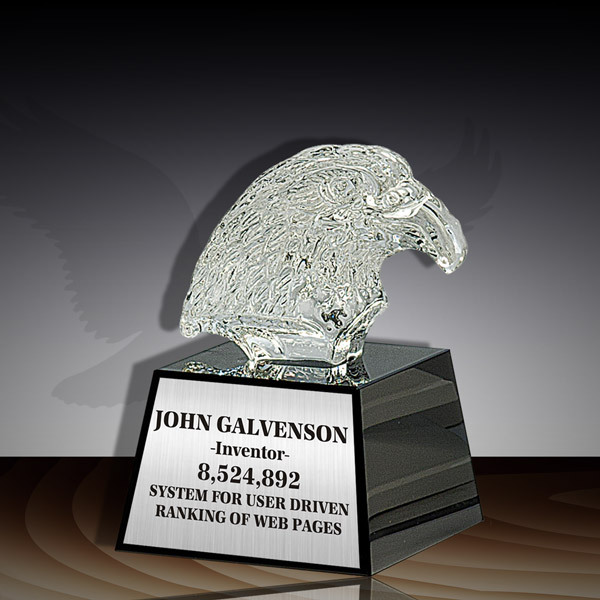 3 3/8" x 2 2/8"
This Patent Award - Crystal Eagle USPTO JCR-322 is part of our Patent Desktop Award Series of products, check out other products & options available in the Patent Desktop Award Series of our selection. This Patent Award - Crystal Eagle USPTO JCR-322 can be modified to your requirements and is available for your corporate award programs.